Geger beach has a beautiful setting, clear blue water, sandy beach and a nice relaxing atmosphere to chill out. To surf, it takes a boat to get out proper to the reef. Appearance from the beach can normally deceive. Very strong currents & the sets can get really solid and nasty with lots of power and come out of nowhere, so beware!! Nusa Dua produces consistent long rides & solid walls not for the faint hearted. Best at mid to high tide during the wet season. The break consists of the top peak, middle and end section, which seems to unfold for miles and spread the crowd. Only suitable for the experienced surfers. A short bowling right hander.. Good for mid to low tide, but watch out for the shallow reef. Suitable for more experienced surfers. Located at a cove by Nusa Dua, the reef is a very short paddle. A short left and a longer right. Starts working when at 3ft, mushroom can produce some easy fun waves at mid tide. At dead low tide, reef runs dry. When there is a solid swell, some say better than Uluwatu. Designed with & in Bali. 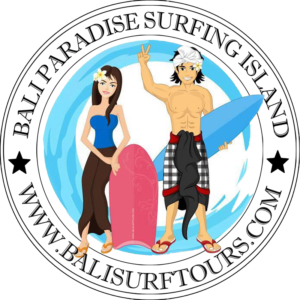 Copyright © 2010-2018 Bali Surf Tours. All rights reserved.